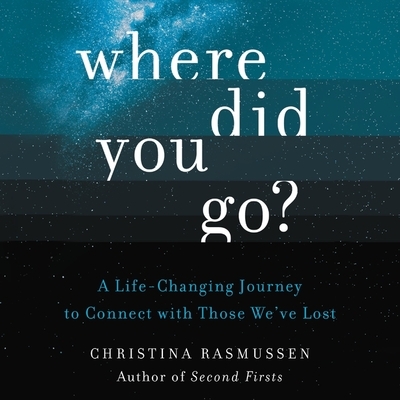 An acclaimed grief educator and the author of Second Firsts teaches listeners how everyday people can communicate with loved ones who have passed away in this groundbreaking science-driven guide to connecting with the afterlife. Christina Rasmussen has helped countless people break out of the waiting room of grief and rebuild their lives through both her life reentry program and her respected book Second Firsts. Yet, she discovered that even as her students rebuild their lives and thrive again, many are left with the same burning questions: What happens when we die? Are we capable of connecting to those who have passed on? Christina herself wrestled with these spiritual questions after losing her thirty-five-year-old husband to cancer. As a professional grounded in science, Christina was a skeptic who shied away from the conventional mystical, supernatural, and religious descriptions of the afterlife--but her loss, pain, and deep need to understand drove her to find answers about what really happens after we die. With Where Did You Go? Christina reveals we all have the ability to connect with our loved ones who have passed on and teaches us how to harness that power--so that we may at last say the unsaid, discover peace in our own lives, and see a world in which we will all continue to exist, far beyond death. A step-by-step guide to journeying to the other side--as well as a groundbreaking exploration of what happens after we die--Where Did You Go? leads readers through practical exercises that serve as tools to help us experience the unseen world for ourselves, become comfortable with the experience, and trigger it whenever we desire--no psychic abilities required. Fiercely honest and practical, Where Did You Go? bridges the gap between the metaphysical and the measurable, changing the way we grieve, the way we live, and how we define our potential--in this life, and the hereafter.